You are here: Home › Anti-Aging Skin Care › Retinoids, Retin-A, Retinol for Anti-Aging ~ What Works + How To Choose! There are so many products and so many ingredients that claim to be “botox in a bottle” or a “Facelift in a Jar” that it’s hard to know what to choose and what actually works! This video on Retinoids is the first in my new series focusing on Anti-Aging ingredients in topical skincare to help you decide what you want to use. Some retinoids are considered “The Gold Standard” of anti-aging, but are all retinoids the same? 48 Responses to "Retinoids, Retin-A, Retinol for Anti-Aging ~ What Works + How To Choose!" Do you put a moisturizer on prior to applying your Trentinon Cream? I don’t, I put on moisturizer after. 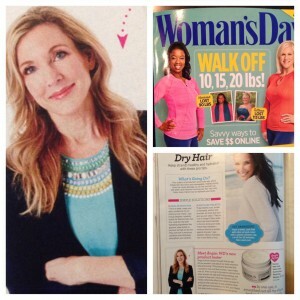 I have read on website blog of Dr. Cynthia Bailey, dermatologist, about using tretinoin products. She advises to be sure your face is completely dry after washing and applying other moisturizers before applying the retin type of products. She waits about 15 minutes after washing and moisturizing before she applies, she says. Reason is that the moisture causes more absorption of the product, thus more irritation possible (peeling, redness). I love Dr. Bailey, that’s a great way to apply to avoid irritation. Your anti aging skin care ? Kind of pricey . Just curious if all the timeless you use are in this product or if you have tried these products . with the Curology)? Thanks for you help and for all the information…it is so helpful and you look amazing!! I know, I’m so bummed but hopefully they’ll be in Canada eventually! Hi Val, do they have retina A over the counter, I am buying the prescription in the states. I will be going to Canada this summer. Any idea where I can buy some. I bought the 0.05 percent. Retina. What are the best Canadian pharmacies (online or otherwise)? I’m heading to Canada in a month or so. Thanks, very informative post!! Thank you. What do they offer in the way of prescriptions? I’m very interested in this Curology and I think you answered above that you have stopped using tretinion because it’s in it already and the personalized treatments sounds good. More on Curology would be nice. Your skin looks fabulous. Hi Angie! I’ve never commented on your blog before but feel moved to today. First, I’ve followed you 2+ years now and do your skin care (plus a lot of your ‘holy grail’ makeup) to the tee, and my face has never looked better. Thank you for all the research and experimenting you do for all of us. I’m 58 and like you, a previous sun worshipper. :(. I’ve used Retin-A for over 10 years and have been lucky that insurance has always paid for it. Until now. 🙁 So when I saw your post yesterday about Curology, I immediately went online and discovered they’re almost too good to be true. Founded by a mother and son dermatologist, they wanted a practice where they could care for patients remotely just as effectively as they cared for patients like in their in-person dermatology practices. It was easy to get started–complete a skincare history questionaire and 3 selfies — and within the day a medical professional made a custom treatment plan just for me. You shared your custom formulation with us….mine is…tretinoin 0.14%, Vitamin C 5%, and Niacinamide 4%. That is the strongest tretinoin anywhere. It’s mind boggling to think about the cost of tretinoin at a pharmacy compared to $19.95 a month at Curology. Thank you for your timely video! I now get to continue using tretinoin because of it! Hi Angie, I’m almost 48 and just found your vlog/ blog this weekend. Thank you! Your foundation Fridays have me sucked in to a YouTube vortex. I walked out of the weekend with 2 new foundations (L’Oreal true match and Estée Lauder double wear light) and have a makeup hangover, lol. I do a glycolic acid peel once a week, but I don’t do any manual exfoliation like scrubbing. On the nights you use glycolic peel do you use anything after. In use glycolic pads 10% about once a week at night. I just use moisturizer after I do the glycolic peel. Which glycolic peel do you use? I experience the same sluffing while using prescription retin a.
I use Drunk Elephant Sukari Baby Facial once a week. Thank you for this very informative info. I have learned so much in the short time I’ve been following your blog. Could you please do a review on IT 50 serum primer? It is suppose to have a lot of anti aging ingredients, but are they really helpful and with the correct percentage? I am obsessed with Curology. I’ve been using it for more than 3 years now (since it used to be called PocketDerm) and combined with some acids, vitamin C serum, and eye cream – my skin has never looked better. yes, please, one of your educational videos on Curology ~ not only interested in the product, but process from ordering to monthly ship to cancellation (prn) ~ thanks for considering! are tretinoin some of the other products you’ve previously mentioned still part of your routine (nighttime, i assume) now that you’re using the mix of ingredients in Curology ~ or ~ just Curology ? ~ thanks! Have you given up any other of your skin care products, besides Retin A, now that you are using Curology? Always love your videos and learn so much. So are you not using Tretinoin at all and just using the Curology? Right, because now the tretinoin is in the Curology. Good afternoon, dear Angie, thank you so much for your time and knowledge. I watched so many bloggers europeans and you, lots from Russia, they are all about Korean products or more natural approach. I have done AM and PM routine, I love going to miami we have a place there, so i have abused sun, apply sunblock in the morning, and never reapply. Love being tan or should I say loved. Turning 40 this year, started noticing wrinkles under the eyes, (maybe from computer work) and the age. So I would like to intoduce Tretinoin 0.05, i do F Acid from timeless at night along with Lactic, should I do tretinoin on the night when Acids are not involved? or how? if I would like to introduce it to once a week lets say. What about other nights when I use F Acicd , should I add any kind of Retinol then, or how? It’s okay to use acids together in the same routine, but it’s best to start new acids slowly and away from other acids just to avoid irritation. So are you not using the Tretinoin, just the Curology. Sorry was confused with your answer? Curology contains tretinoin so I am still using tretinoin, it just comes out of a different tube. I use 1 tretinoin product. 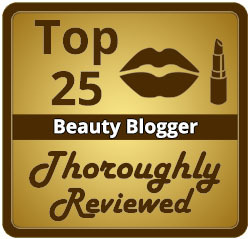 Hi Angie, Do you use the Rx Tretinoin and the OTC Retinoids concurrently? IE, alternating or 3 weeks on the n switch, for a week…? I read somewhere that your skin can acclimate and needs to alternate off for a while to keep the tretinoins effective…Thoughts? I love your videos on makeup and skincare! I have never seen anything on Peter Thomas Roth and was wondering what you thought of their pm retinol serum. Thanks for the great info! I’ve tried a bundle of OTC brands, drugstore and higher end – too many to name. I was considering a prescription because I’ve spent a lot of money without appreciable results. My oily skin (yes, at 62 yrs, I still have it) is a challenge because it’s also sensitive. Products that lower sensitivity tend to be less strength and more emollient, which then gives me breakouts and congested pores. I have Differin on my list now after watching this before I go to prescription. I am a huge fan of Angie, and watch all her videos etc. Noticed your note and I am 69, yes! 69 and still have the challenges you have with congested pores from emollient products and the “medium” in which these drugs are suspended. Currently, I use the Rx Tretinoin in gel form on face for that reason but I can’t use it every night. I need to skip. (because of drying) For neck, I use the Cream version. What foundation do you use? I did try the Chanel that Angie likes, and had a bit of irritation from the chemical sunscreen in it, but haven’t found a better one, so maybe will try it again. Currently use only powder spf 30 or 50 sunscreen- Colorescince & Jane Iredale. I am going to try the Curology product. Do you use your Trentinoin with the Curology or are you using the Curology by itself? Thank you! I love your channel! I’m just using Curology now and dropped the generic tretinoin cream. Angie! Thank you for your honest opinions and advise. Yes! Please give your honest review on Curology! This seems like a great way to compare results and price. Thank you for sharing that you dropped the prescription when using Curology. It is confusing on what to use when. And now i know not to use both at same time. Curology not available in my state. Any suggestions for OTC? Try Differin. It’s the strongest retinoid you can get OTC, it’s at drugstores in the acne aisle. It’s a 12 week regimen so we’re looking at the end of May. I’m using Differin nightly and loving it. I used Retin A for years and had worked up to the .1 percent strength with no side effects. Then all of a sudden my skin started rebelling against it. I went without any retin a/retinol products for a year and then tried introducing Differin. I was able to use it every day with no flaking or irritation and after a year I can definitely say it is softening my forehead wrinkles. I’ve been using the Curology for a couple of years and I like it. I use so many products it’s difficult to know what’s working. I had the same experience with the Differin on my neck. I will be 57 March 20th, so it’s an all out war with my skincare. I was a sun worshipper too. My most impacted area and the place I’m seeing the least results is my décolleté. I would love to see more ideas for that area.